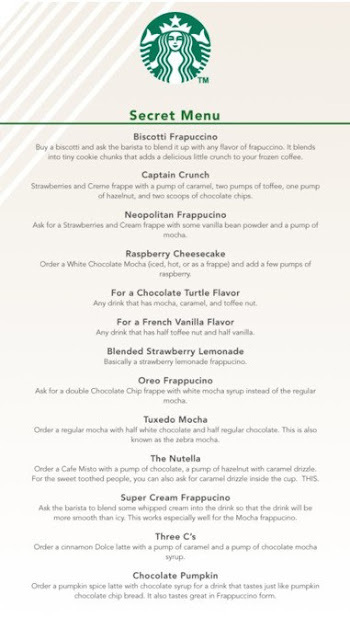 As a former Starbucks employee, I can assure you that if you want the majority of these drinks, you can't order it by name. The only drinks that are known pretty much anywhere you go are the tuxedo mocha, captain crunch, and blended strawberry lemonade. Of those 3, the only drink that Starbucks considers an actual "secret menu" drink is the blended strawberry lemonade. They have an actual button on their register for it as well as a recipe card for baristas. The rest, you need to actually order it by the recipe. Otherwise, you'll just feel silly when the barista doesn't know what you're talking about. 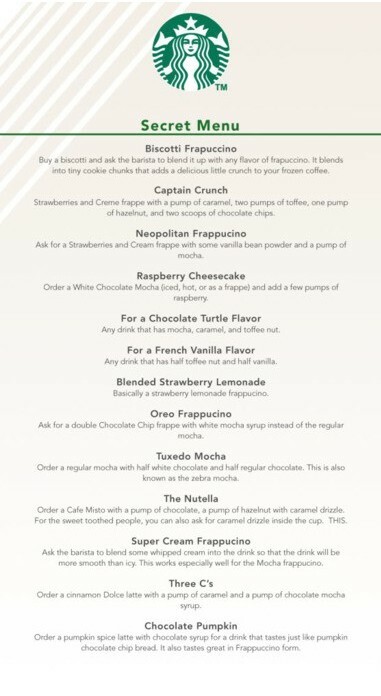 So if you want an "oreo frappuccino", you need to say "I want a double chocolate chip frappuccino with white mocha instead of regular mocha"